I’ve been sitting on these Cranberry Pecan Oatmeal cookies for a while. I originally intended to share them for Christmas and thought I had then when I went looking for the recipe to make them again, I didn’t find it. Doh. 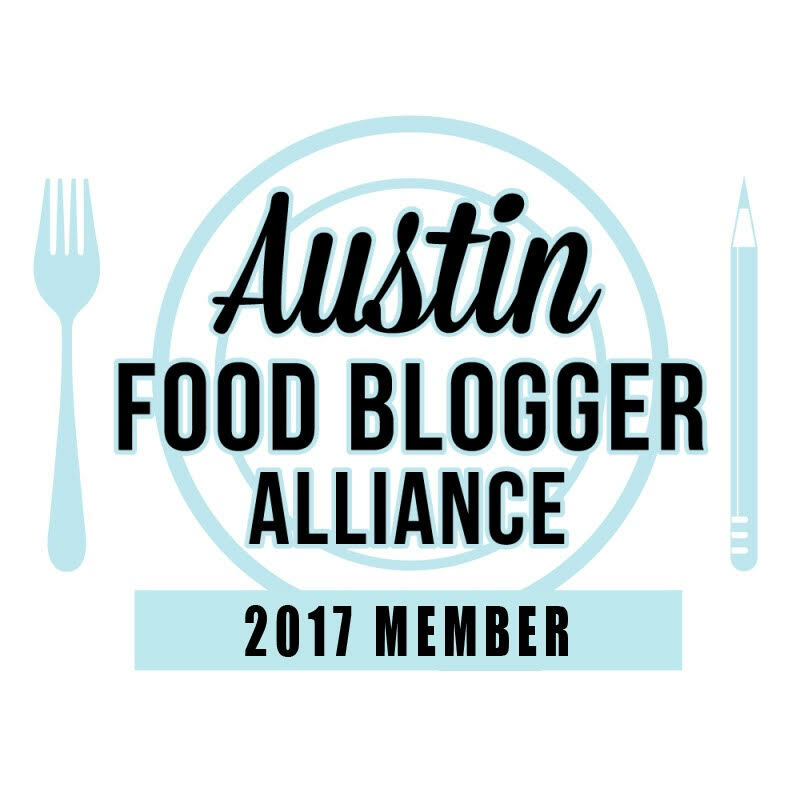 But that turned out to be ok because now I can share them with you as part of the Cookies for Kids Cancer event where food bloggers join to help fund pediatric cancer research! This is the third year for our Valentine’s event! We want to make a difference in the fight against pediatric cancer! These Valentine’s Day treats are an updated version of the traditional oatmeal cookie. I’ve always loved an iced oatmeal cookie but the addition of pecans and cranberries really damp them up. 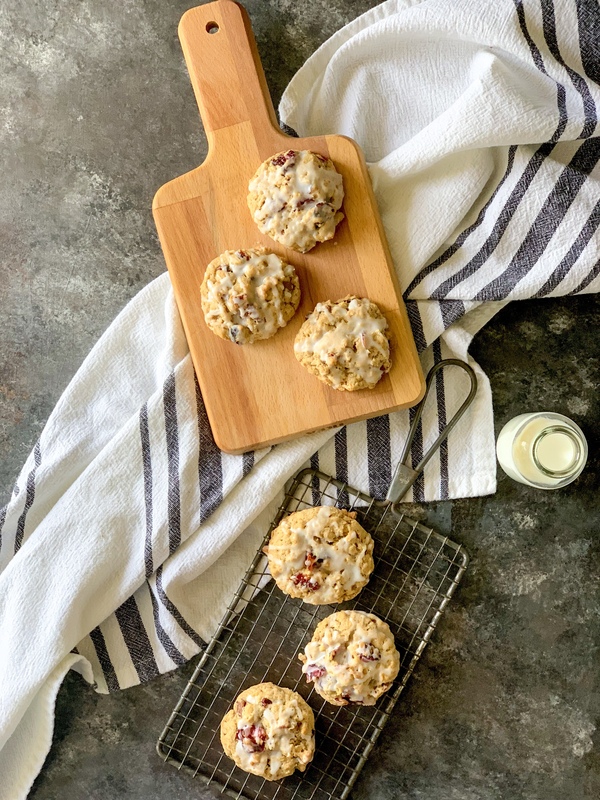 Enjoy these Cranberry Pecan Oatmeal Cookies and I hope you’ll make a donation to Cookies for Kids’ Cancer! And an extra big thank you to Dixie Crystals and OXO for being wonderful sponsors and sharing all the amazing goodies to help make these treats! Preheat oven to 350 degrees. Top baking sheet with a silpat sheet. In a mixing bowl, whisk together oats, flour, baking powder, baking soda, salt and cinnamon. In a large mixing bowl using an electric mixer, cream butter and sugars together until creamy. Gradually add in eggs and vanilla extract. Mix until combined. Using a medium cookie scoop, form dough into balls and place on baking sheet. Bake for 12-14 minutes. Let cool on baking sheet for 3-5 minutes until set then transfer to a cooling rack. Once all the cookies are cooled completely, mix confectioners sugar and milk together (gradually) with a whisk until glaze reaches the desired consistency. Using the whisk, drizzle glaze on top of cookies. Let cool then store in an airtight container.